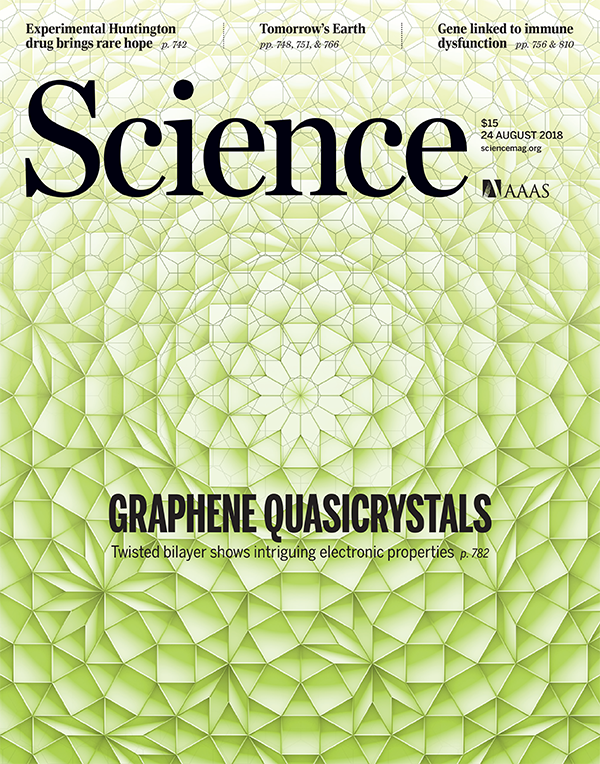 The research was selected as the cover article for a recent issue of the Science journal. Credit: August 24 2018 cover of Science. Reprinted with permission from AAAS. Solid-state materials are composed of atoms. For a long time, it had been believed that periodicity is essential to arrange atoms in an ordered fashion, and such arrangement was named a crystal. In a two-dimensional space, for example, only a few arrangement patterns, i.e., triangular, rectangular, or hexagonal arrangement, can tile space without vacancy in a periodic manner [Figs. 1(a) and 1(b)]. In 1970s and ’80s, however, researchers discovered very rare patterns which can tile space in an ordered but not periodic fashion [Fig. 1(c)]. Such novel arrangement was newly named a quasicrystal, and has greatly expanded our understanding of the atomic order. However, quasicrystals are quite rare in nature. Professor Moon's theoretical calculation proved that the scattering pattern observed in the experiment can appear only at exactly 30°, and even a slight deviation of the angle (e.g., 29.958°) cannot reproduce the observed pattern (Fig.2). This result provides solid evidence of the fact that the research team’s system is at quasicrystalline configuration. In addition, the theoretical investigation also revealed many exotic features of quasicrystals such as the emergence of infinitely many Dirac cone replicas as well as the unusually strong scattering. Figure 1: Tiling of space by (a) triangular, rectangular, and hexagonal tile, (b) pentagonal tile, and (c) pentagonal Penrose tile. Note that the pattern in (b) cannot tile the space without vacancy. 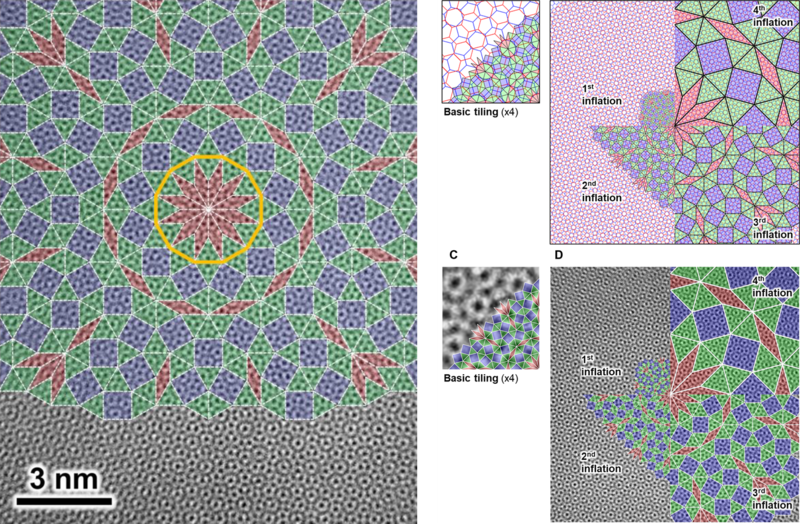 Figure 2: Transmission electron microscopy image and theoretical tiling of the graphene quasicrystal. Terms and Conditions for Use of Electronic Products: Readers may view, browse, and/or download material for temporary copying purposes only, provided these uses are for noncommercial personal purposes. Except as provided by law, this material may not be further reproduced, distributed, transmitted, modified, adapted, performed, displayed, published, or sold in whole or in part, without prior written permission from the publisher.